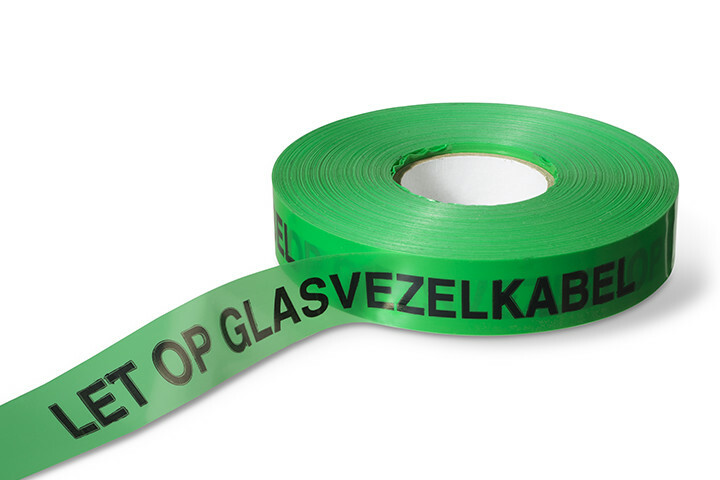 Thanks to this warning tape you can clearly indicate the presence of underground cables and pipelines. 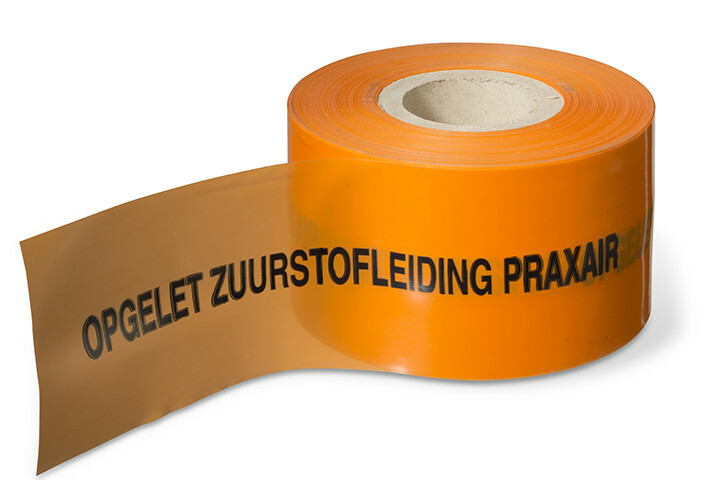 For this Electroplast offers high quality warning tape in various colours and sizes. The tape is made from virgin and environmentally friendly polyethylene. Furthermore it is highly elastic. Consequently with machine excavation, the tape first comes to the surface, before the underlying cable infrastructure is encountered. Extremely safe owing to the elasticity of the material. Colour fast and always legible. 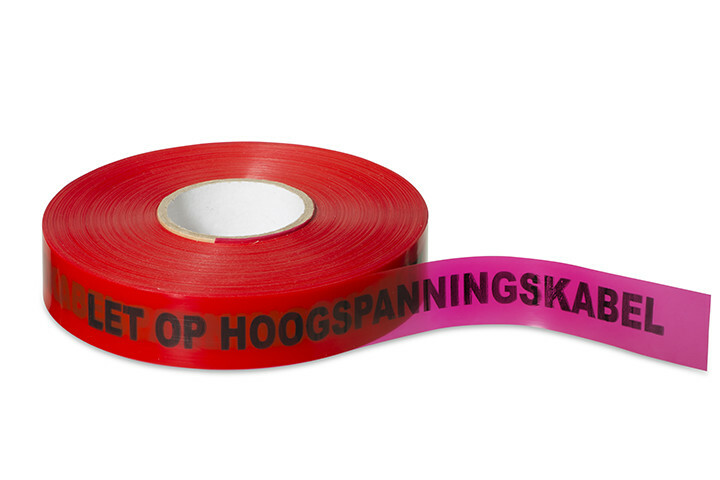 Warning tape is available in all colours and can be provided with any desired text. A large number of standard texts are available from stock. 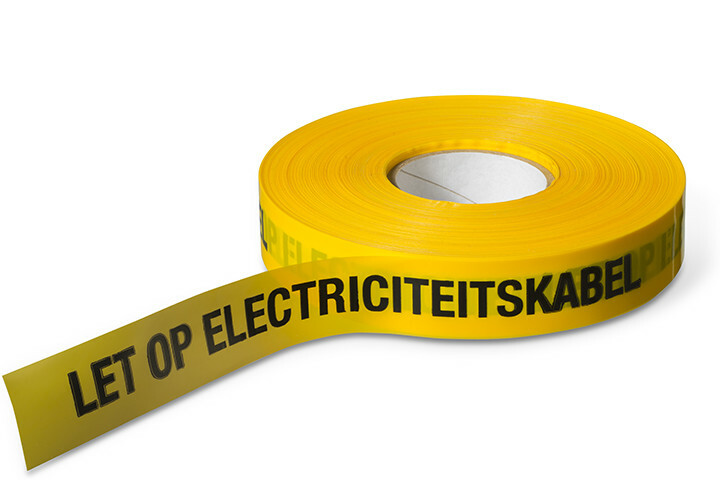 The most common thickness of the warning tape is 0.15 mm. The standard roll length is 250 metres. 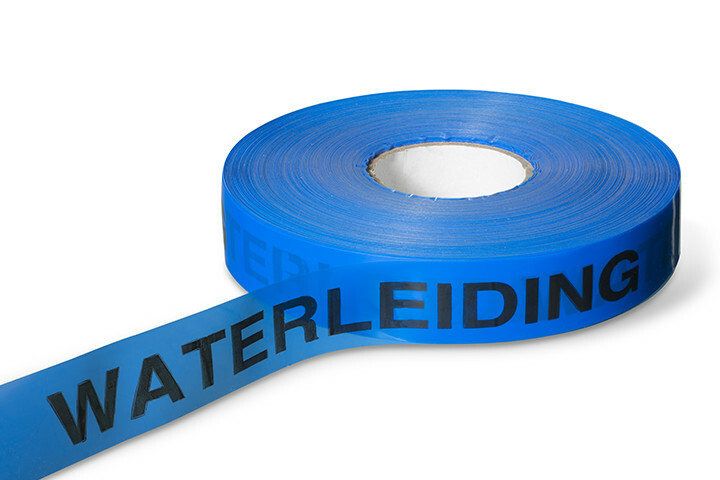 The tape width varies between 40 and 500 mm. You can also call on us for red/white blocking tape and detection tape with stainless steel wires for the detection of non-metallic pipes . Please contact us about the possibilities.